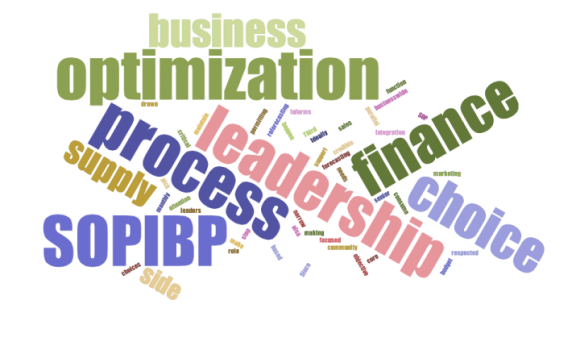 StrataBridge > Blog > IBP > Who Should Lead the Optimisation Process Step in S&OP/IBP? People often ask who should lead the Optimisation step (also known as Step 4, Integrated Reconciliation, Pre-S&OP and Finance Review) in S&OP/IBP . Historically S&OP was a supply chain led process, and the leader of Optimisation was often the supply step leader because they were the most committed to making the process work, and the focus of Optimisation was supply and demand balancing. Over the last twenty years or so as S&OP has developed into a true cross-functional business process offering vastly more than pure supply and demand balancing, this choice is no longer so appropriate. Ideally, the leader for this step should be a senior finance person. Second choice is a respected leader from the sales or marketing side of the business. Third choice is the S&OP/IBP process leader if you have one. This is not to say that there are no good leaders of optimisation drawn from the supply side of the business, but it is usually better to pick from one of the top three choices. If your choice is a narrow supply focused process, then a supply person may be the right choice. If, on the other hand, you have chosen S&OP/IBP as a business-wide integration process, then I would strongly urge you towards one of the three choices outlined above, and if at all possible a finance person. There are three main reasons for this: firstly, one of the key objectives of optimisation is pulling together the latest business forecast together with a summary of the risks in the forecast and the opportunities not yet included within it; secondly, cross-functional issues to be ‘worked’ through the optimisation step need financial analysis; and thirdly, one of the killers for a nascent S&OP/IBP process is permitting the finance community to maintain a parallel business forecasting process to S&OP/IBP. 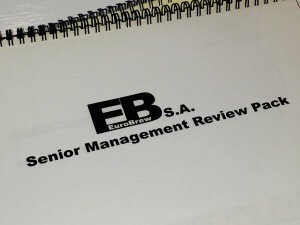 Typically called Quarterly Financial Review or Quarterly Latest Estimate, the process tends to be detail driven, budget based, calendar year focused and it consumes the attention of the business for two months out of every three ensuring that S&OP/IBP will not have the finance support it needs to make it credible. 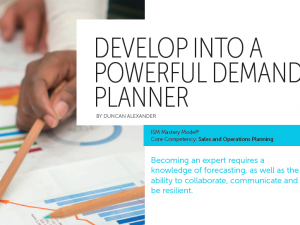 A core objective for S&OP/IBP is to provide, using a famous phrase from Keynes, a “roughly right, not precisely wrong” monthly business re-forecasting process. Since the finance function is critical to making this happen, give them a central role in optimisation.